This new sales center is located within an existing long, thin storefront space. The scheme organizes along an existing exposed brick wall and creates a gallery-like promenade in which architectural models and color renderings of a proposed condominium tower are presented to prospective buyers. 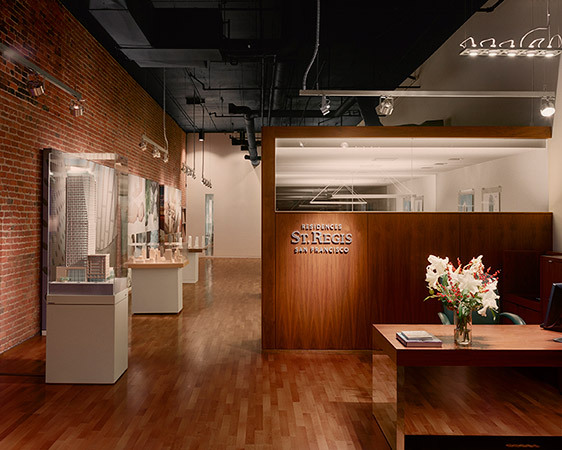 Three private sales offices are set adjacent to the gallery space to facilitate access to the models and renderings. 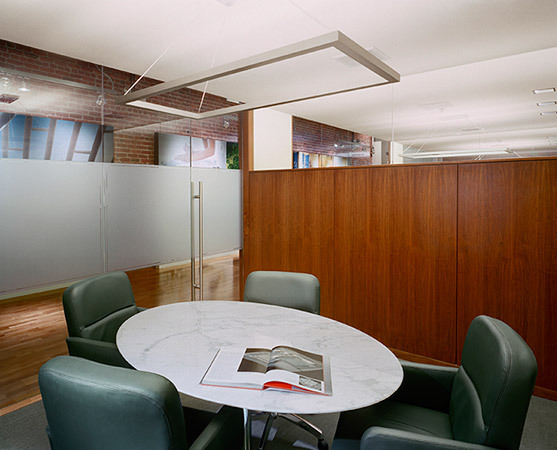 Generous glass clerestories within the offices create a sense of openness while translucent glass panel walls ensure privacy. Spare detailing is employed to heighten the impact of the rich material palette. Panels of walnut plywood, beechwood floors, and drywall plaster all combine to reinforce the sense of luxury and quality associated with St. Regis.